Staying at Villa La Estancia Riviera Nayarit opens the door to exploring the colorful, traditional, and stunning sights of Mexico that blanket the region near the luxury resort in Nuevo Vallarta. 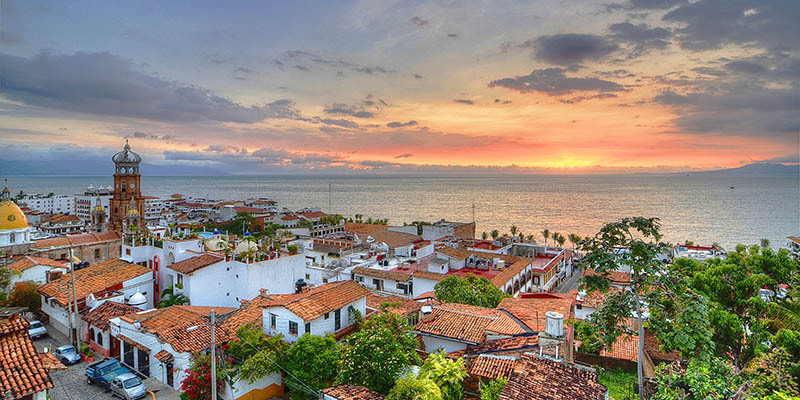 Among the best places to see in Nayarit are a diverse array of magical small towns bursting with culture, ocean expanses flowing with tropical fish and gentle waves, and streams and mountains teeming with wildlife. When deciding what to do when you visit Riviera Nayarit, make sure to include the six best places to see in Nayarit. Whether you visit for a week or a month, you can enjoy the myriad of unique Vallarta activities that await at Villa La Estancia Riviera Nayarit and its surroundings. Villa La Estancia Riviera Nayarit sits on Flamingos Beach, one of the lush Nuevo Vallarta beaches that stretches down the coast of Banderas Bay. On this beach, the soft sand spreads endlessly under the shade of swaying palms and soft waves break against the shore, providing a background of tranquility as you visit Riviera Nayarit, one of the best destinations in Mexico. Kids and adults will enjoy a day of laying in the warm sands and splashing in the gently rolling waves. 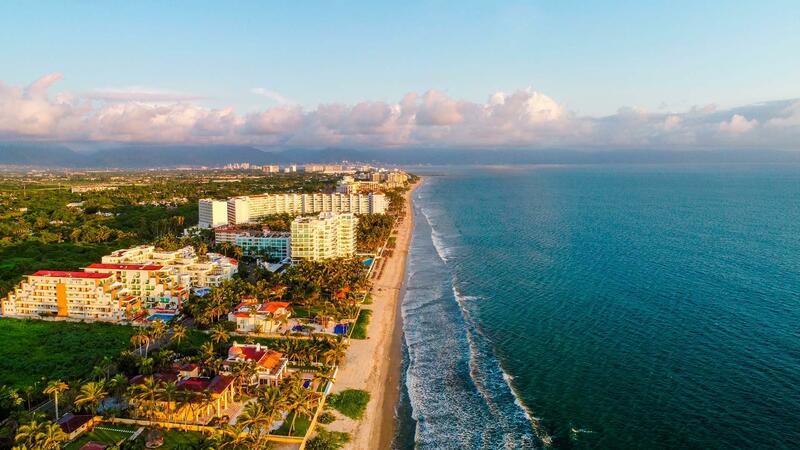 Whether you’re taking in the ocean view from your spacious suite at your Nuevo Vallarta resort or strolling along the waters at sunset, the Nuevo Vallarta beaches are one of the breathtaking Riviera Nayarit attractions. To explore more of the lush Nuevo Vallarta beaches, head north to Sayulita, a small surfing village a short drive from Villa La Estancia Riviera Nayarit. Along this picturesque beach, several surf schools offer board rentals and lessons, providing visitors with one of the most adventurous things to do in Nayarit. After instructional time on land, the surf pros take you into sparkling blue waters to practice catching the waves. Those who are up for an on land adventure can enjoy fresh seafood before browsing the boutique shops that sell handcrafted art and trendy beachwear. By the end of your Sayulita trip, you’ll have experienced the warm surf culture you can only find when you visit Mexico. At the northern tip of Banderas Bay, you’ll find luxury and charm at Punta Mita. In this small beachfront destination in Mexico, world-class spas pamper you physically and mentally with a variety of exquisite treatments that use modern innovations and natural healing properties within soothing surroundings, rejuvenating your spirits as you visit Mexico. Visitors can also head out on the sea in a luxury, chartered yacht to lounge with fresh cocktails, or experience the sea from a paddleboard or kayak. These Vallarta activities bring you closer to the ocean and the mysteries it holds. With peaceful waters, Punta Mita is stunning and only a short trip from Nuevo Vallarta. A more quaint village along the coast of Mexico is San Francisco or, as the locals call it, San Pancho. This small village is bursting with tradition and culture. 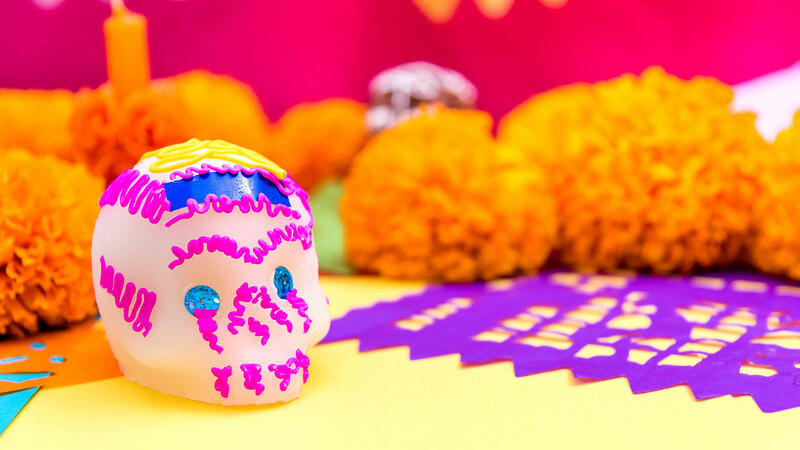 Among the unique things to do, Nayarit offers a trip to Entre Amigos, a community center focusing on creating beautiful objects with repurposed and recycled materials. After checking out the sustainable projects going on in this village, stroll along the bright streets where you can enjoy fresh local dishes and the incredibly friendly community. As you walk, you’ll find more peaceful Nuevo Vallarta beaches along the coast. One of the top things to do, Nayarit has a day trip to San Blas awaiting you and your travel companions. This historical port city was home of the first maritime customs house on the Pacific coast. Step back in time as you gaze at the historical architecture and marvel at the ruins of an 18th century cathedral. Here, La Tovara National Park is one of the best destinations in Mexico and is home to a wonderfully preserved ecosystem filled with mangroves, white herons, turtles, and crocodiles. 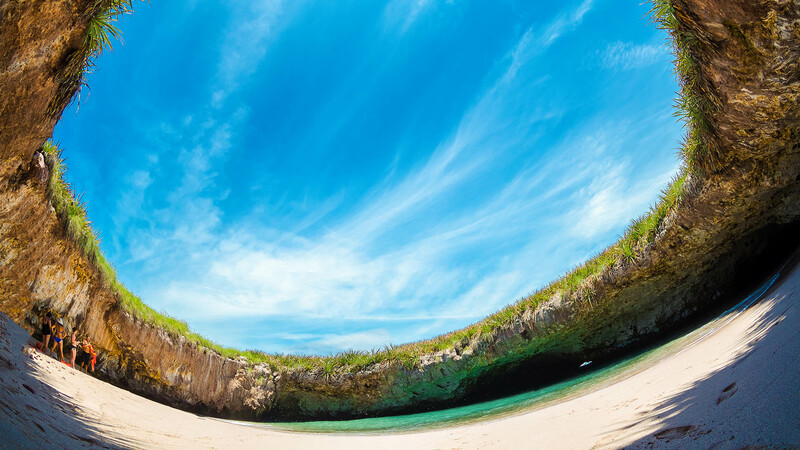 This natural attraction can be toured by boat when you visit Riviera Nayarit. While mosquito repellant is advised, the mangrove and crocodile tours will leave quite the impression. Down the street from Villa La Estancia Riviera Nayarit is a scenic walking path that winds under the shade of trees to the nearby town of Bucerias. In this beachfront destination, you can explore the diverse Riviera Nayarit attractions. 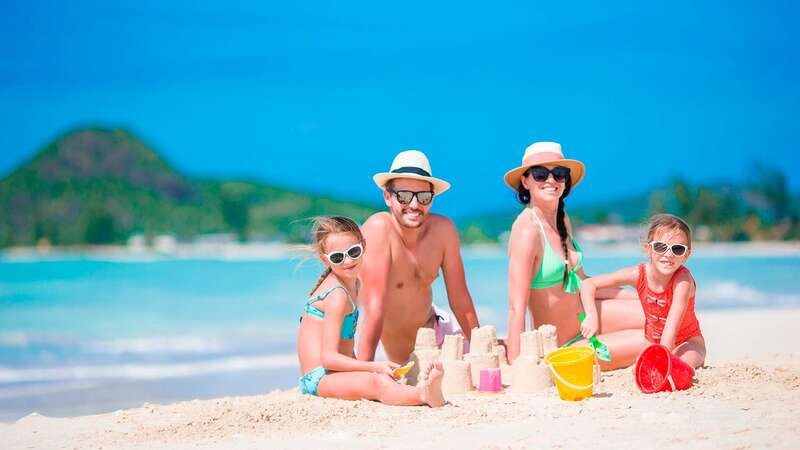 Among the fun things to do in Bucerias is a wealth of delicious food in gourmet restaurants and casual eateries, family activities that explore the landscape, and warm Mexican culture. There is even a water obstacle course that provides a fun and entertaining challenge for visitors of all ages. Bucerias in one of the best destinations in Mexico, especially for those staying at Villa La Estancia Riviera Nayarit because of its close proximity and warm hospitality. Explore the area surrounding Nuevo Vallarta and the best places to see in Nayarit to create lifelong memories. 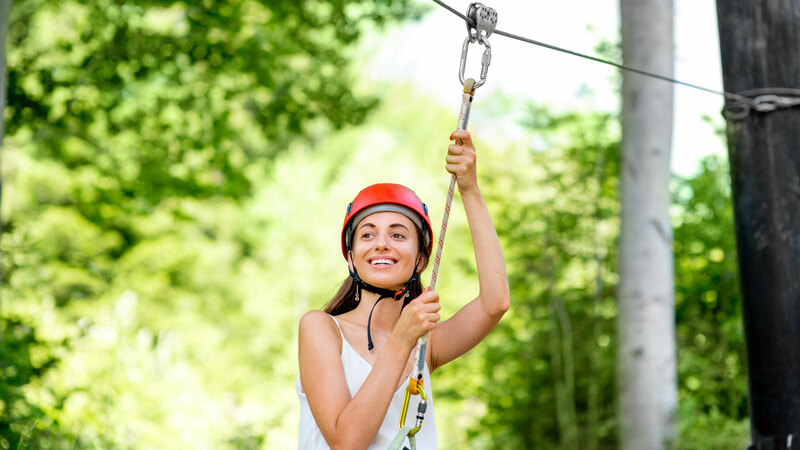 From natural wildlife to luxury spas, Riviera Nayarit attractions are plentiful and diverse, providing fun for the whole family when you visit Mexico and stay in the heart of Riviera Nayarit at Villa La Estancia.